TOKYO GHOUL:re CALL to EXIST, the first video game based off the popular dark fantasy manga series to come to the West. TOKYO GHOUL:re CALL to EXIST will feature an offline mode and a multi online co-op play in which the goal is to survive. 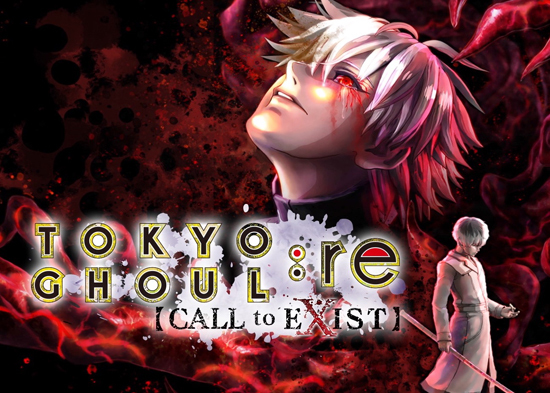 Fans can enter the war against ghouls and investigators on either side when TOKYO GHOUL:re CALL to EXIST comes to PlayStation 4 and PC. TOKYO GHOUL:re CALL to EXIST will unite characters from across the franchise, including TOKYO GHOUL, TOKYO GHOUL √A and TOKYO GHOUL:re in the fight for survival as either a ghoul or investigator. Ghouls and investigator character types each possess their own unique abilities and weapons to master, including Kagune or Quinque type items. Players can pick their sides and challenge friends to see who will reign supreme in gruesome battles to the death. TOKYO GHOUL:re CALL to EXIST will be available on PlayStation 4 and PC.